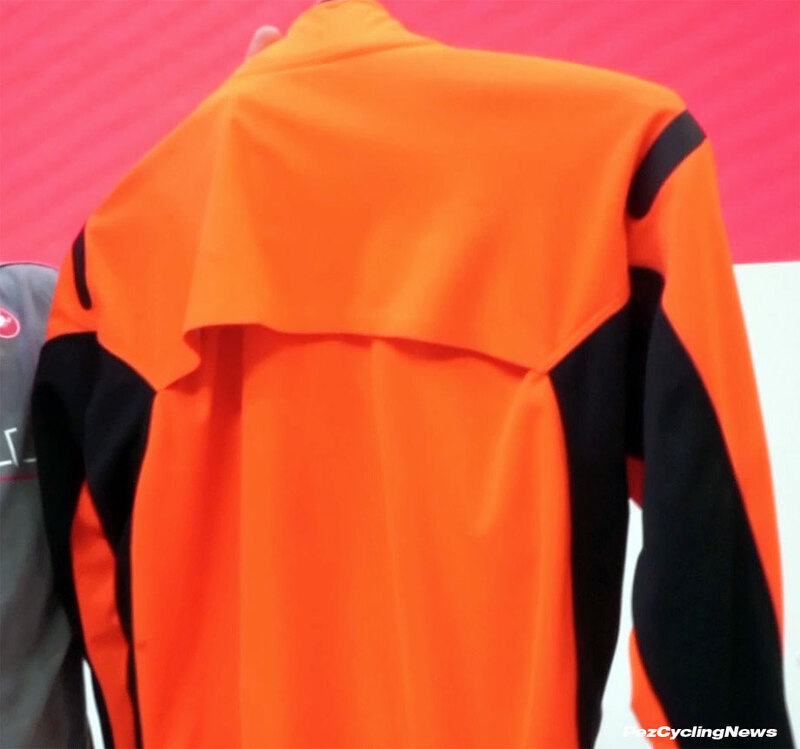 Video: Eurobike 2018 was the perfect setting for an elevated runway and a full-on fashion show, given that the world's leading nation of fashion is just a couple hours drive away - so leave it to Italian brand Castelli to present some of the best technical cycling gear available on a stage thumping with club vibes that made you look. 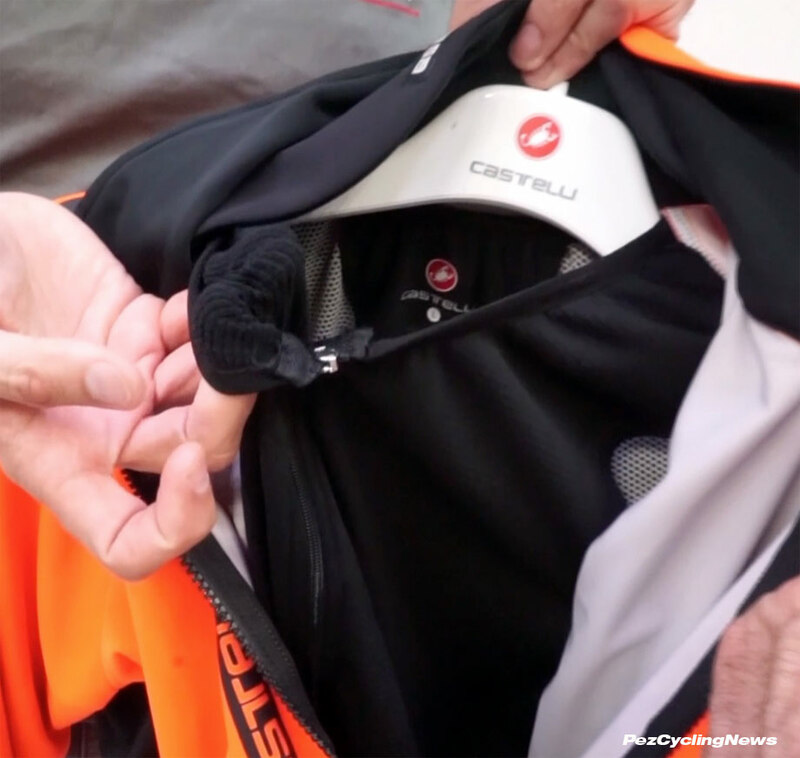 The hot models and a crowd approaching of mob-like status just attracted more onlookers for a sneak peek at Castelli's 2019 Spring & Summer cycling apparel collections at their Eurobike 2018 Fashion Show. 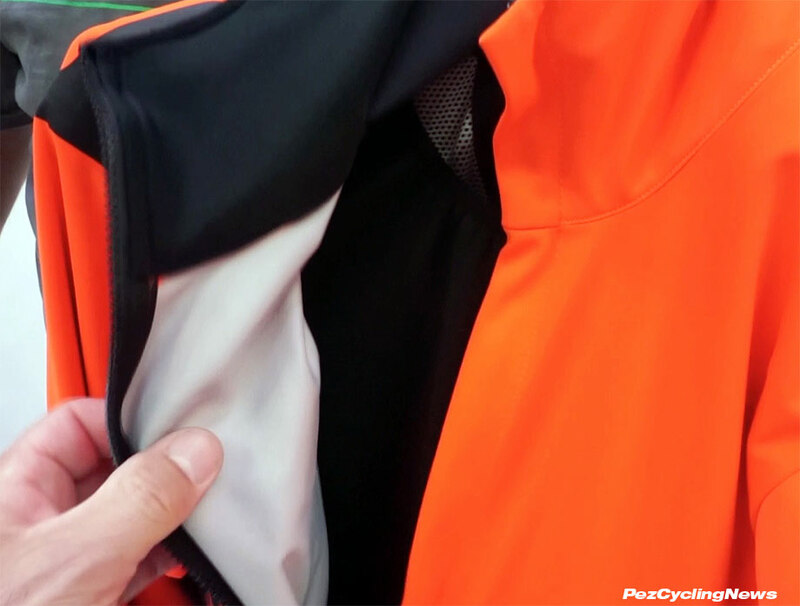 The Castelli ALPHA RoS JACKET for Fall/Winter 2018/19 steps up from the original version (watch my original review here) with new fabrics, better water repellency, and cool colors as the lead item in their RoS (Rain or Shine) line of cycling apparel designed to for rides through a wide range of temperatures and weather conditions. A thin Gore Windstopper outer shell repels water and wind, and creates a barrier so the interior temperature can be regulated with a choice of base layers, but also semi-attached built in MicroGrid fleece insulating layer which adds a layer of protection to the front of the jacket covering the torso. The inner layer features a full length zipper that creates a variety of options for temperature control - like both outer and inner layers fully zipped for the most warmth, to outer layer open and inner layer zipped for long climbs where you're generating a lot of body heat and need to vent that out quickly, to the inner layer open (or partially zipped) and outer layer fully zipped for days when you want to block the wind, but don't need as much insulating warmth. The back of the Castelli Alpha RoS offers both wet weather protection from the Gore Windstopper fabric, but added ventilation via the vent across the shoulders. Down below are three deep pockets to hold lots of gear on rides. I've asked for one of these Castelli Alpha RoS jackets in my size, so stay tuned for a full review in the coming weeks. • Watch more of our cool videos and subscribe at the PEZCycling Youtube Channel.